This edition presents the most important and most commonly used French verbs arranged alphabetically with English translations in chart form, one verb per page, and conjugated in all persons and tenses, both active and passive. 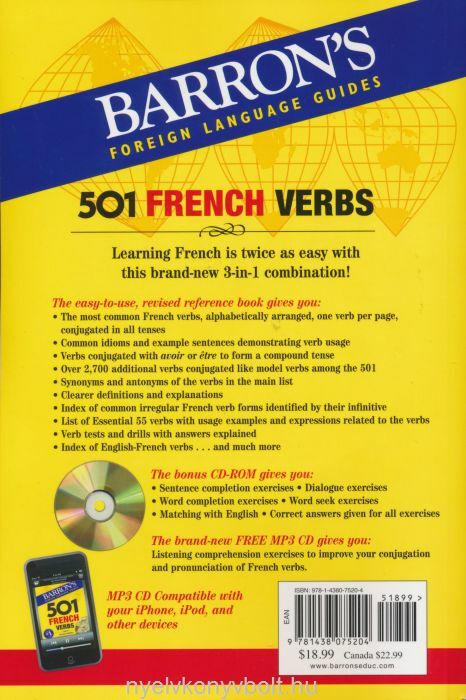 The accompanying CD-ROM gives students crossword puzzles and games, while the M3 CD includes extra practice conjugating French regular and irregular verbs. This combined book and software package is a comprehensive guide to verb usage with a wealth of reference material and language tips, including a bilingual list of more than 1,250 additional French verbs, helpful expressions and idioms for travelers, and verb drills and short tests with all questions answered and explained. 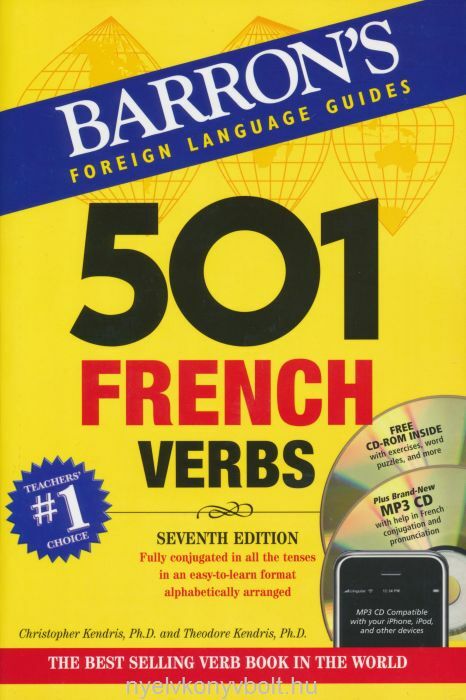 Learning French is easy with help from 501 French Verbs!